Posted on Tuesday, June 16th, 2009. Posted on Tuesday, June 9th, 2009. Posted on Thursday, April 23rd, 2009. Email sign-up web pages have often been overlooked when businesses are looking for ways to improve their interaction with customers and prospects. 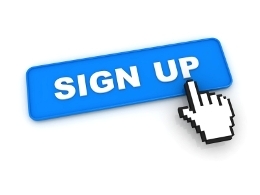 Your email sign-up web page is just as important as your web site home page in attracting people. With that in mind we have provided some tips that you can implement right now…. Posted on Thursday, April 9th, 2009. The survival of magazines is online says eMarketer. 2008 saw many magazines fold and overall revenue from advertising drop by 7.1 percent. While this information is for the American market – it’s hard not to see a similar pattern here in New Zealand. We have more consumer oriented magazines per capita than any other nation…. Posted on Tuesday, March 17th, 2009. Posted on Tuesday, March 10th, 2009. Posted on Thursday, January 22nd, 2009. Posted on Monday, January 12th, 2009. CTOR (Click to Open Rate) = the ratio of unique clicks as a percentage of unique opens (unique views). Are you reviewing your CTOR each time you mail out? If not we recommend you do. The CTOR statistic is presented on your ADMIN Homepage (the page you see after you have logged into your account)…. Posted on Wednesday, January 7th, 2009.